Your ad extensions may show instead of the second line of your ad text (on mobile search ads). The visibility of the second line of your ad text may show, depending on how well they are expected to perform. These changes are specially designed to show your customers the most relevant and useful information, in an optimised way.searching for while on the go. 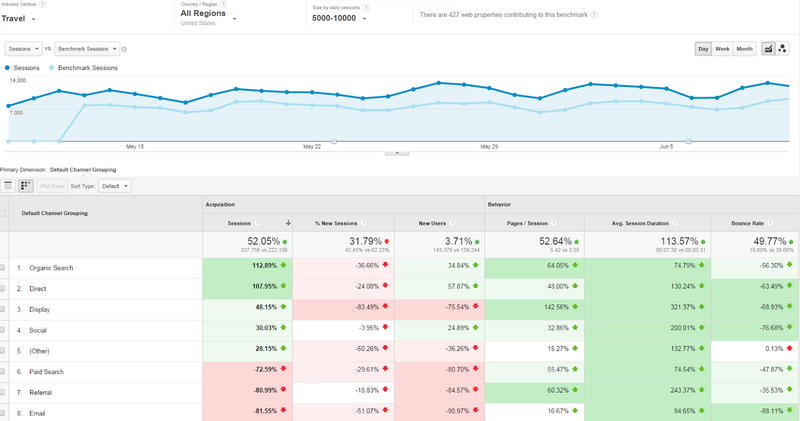 Analytics have now announced the release of their new benchmarking reports, where you can compare your data with your competitors. Analytics users are now able to compare results to businesses in the same industry as them, helping them set important and meaningful targets and highlight trends. The new report displays acquisition and engagement metrics (sessions, bounce rate etc) by channel, location or device category dimensions. By using the new benchmarking report, a holiday company called Twiddy have discovered a new opportunity in email marketing. They found that they were missing out on a large opportunity in this area, so they used Analytics data to revamp and improve the process of their current email marketing.